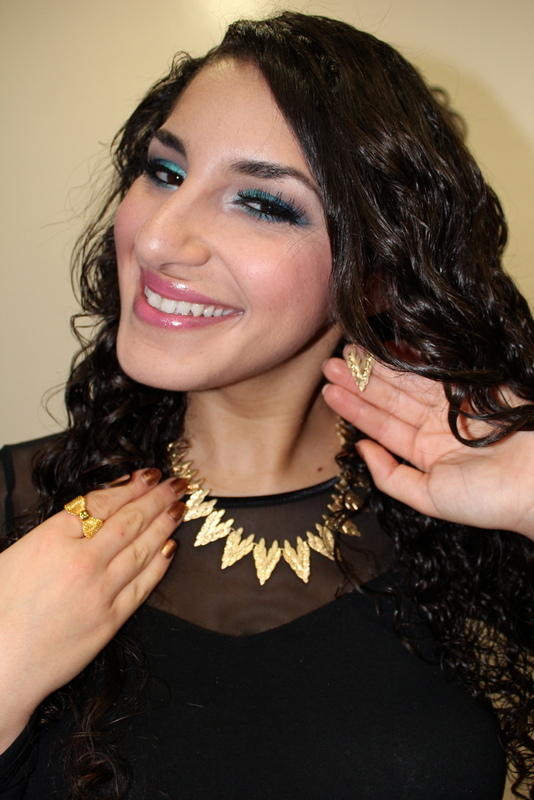 Viola Beauty: OOTN: Black, Blue, & Gold Party! Today's Outfit of the Night is a black and gold ensemble with a pop of bright blue! I was attending a Birthday Party, and I wanted to go for an edgy chic look, so I paired a sheer black blouse with a body con skirt and heeled boots! I love that this blouse has sheer sleeves with a sweetheart neckline. It makes it perfect for tucking into tighter skirts. I love finding ways to incorporate blue into my outfits and makeup since it's my favorite color. 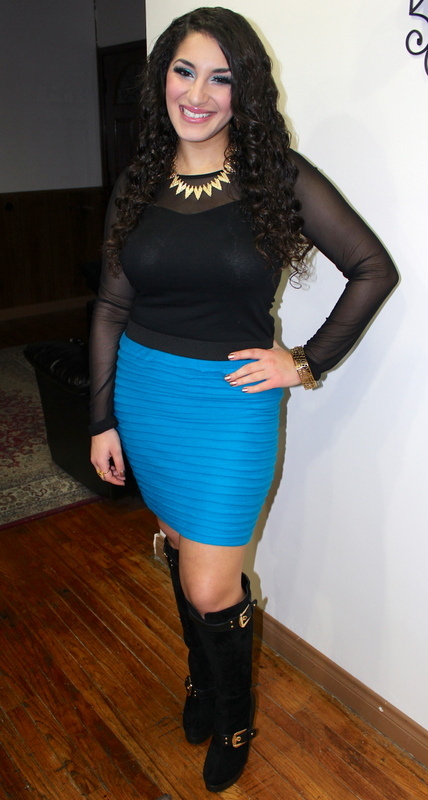 In this outfit, the blue skirt is the focal point as I kept everything else dark and black. The banded detail of this bright skirt also adds some nice texture to the outfit. The other thing that really stands out in this outfit are these gorgeous sky high black boots! I am in love with the faux suede/faux leather mix and the gold buckle detailing. The boots have a slight platform, which made them surprisingly wearable for an extended evening. 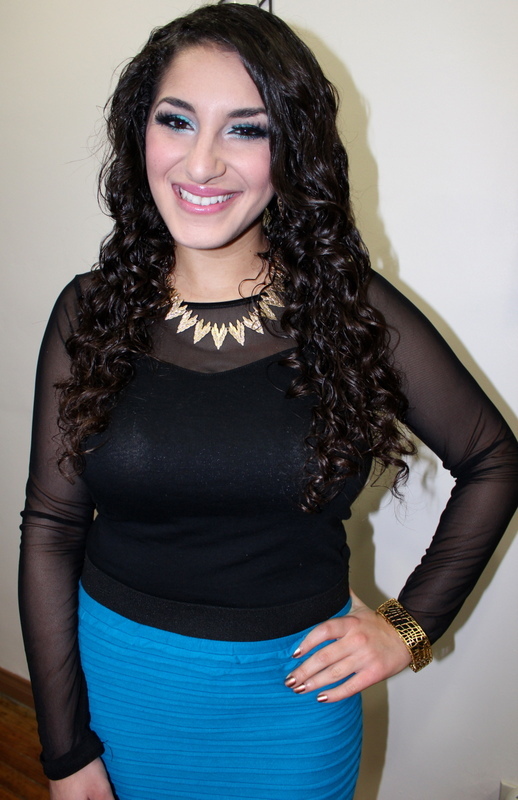 For makeup, I took full advantage of the blue pop of color in the skirt and played around with some bright shadow. I kept the lips and cheeks pink as I think pink compliments blue very nicely. I also accessorized with a few bold statement pieces of jewelry to tie in with the gold buckle detail of the boots.